Schleich have added a fantastic new range to their collection of animal figurines. 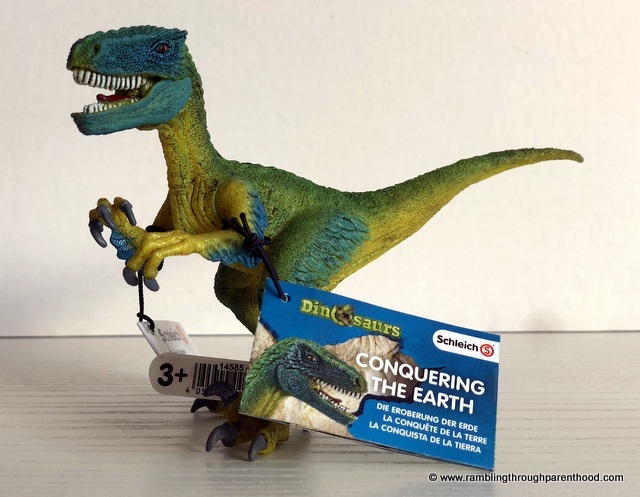 We now have a brand new lot of Schleich dinosaurs as part of their ‘Conquering The Earth’ range. We have been taking a closer look at the Velociraptor, the Tawa and the Oviraptor. As with all Schleich figures, these too are of excellent quality with a superb finish and great attention to detail. 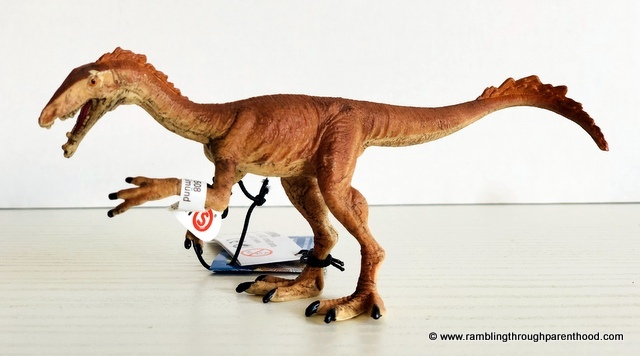 Each dinosaur comes with a name tag that encloses fun facts about that dinosaur. This is perfect for budding little palaeontologists who want to brush up on their dino trivia. 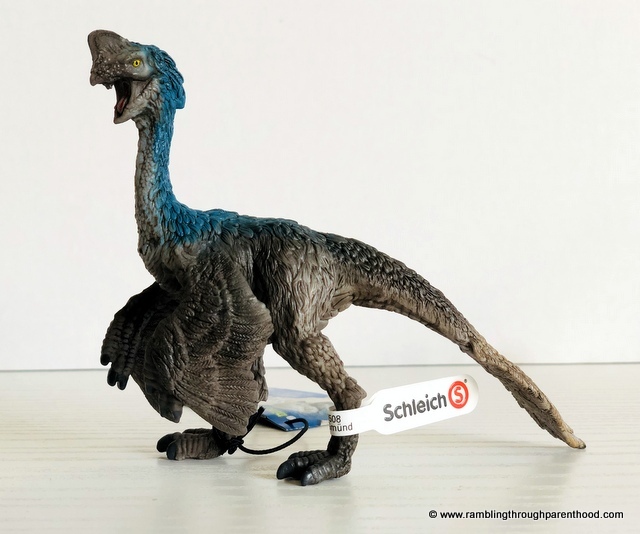 What makes Schleich figurines stand out from the rest is their beautiful paintwork. Each figure is painstakingly hand-painted to an exceptional standard. Take the Oviraptor, for example. From the scales on its back to its claws, you can see the effort that has gone into making this toy. I say toy, but these could very well be collectibles for any age. For I actually find the blue-grey ombre colour scheme of this dinosaur particularly appealing. The star of the show is the Velociraptor. This new version comes with a moveable lower jaw and arms for added fun. Now instead of simply pretending that your dinosaur is on the attack, move its arms as it grasps its prey and open its jaw so it can chomp on it. Utterly gruesome, if you ask me. But it’s what’s hot when you are aged 6 or thereabouts! We found that the Velociraptor’s menacing eyes and rows of sharp teeth are rather impressive and enough to strike terror in its cowering prey. The Tawa is a new one, not just to the collection but to me as well. I had never heard of it till Schleich sent me a Tawa figure. Just goes to show toys can be great for learning for children and adults. 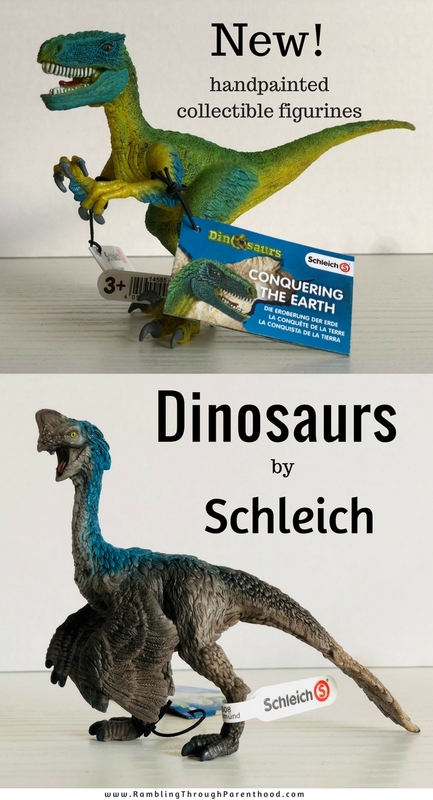 These new Schleich dinosaurs retail for between £7.99 and £9.99 and are available to buy now on the Schleich website or their Amazon shop. Just click on the picture link below to go to the Amazon marketplace to finish your shopping (does not cost you anything extra to buy through this link).